There’s plenty of buzz about “engaging employees.” Don’t get me wrong; having engaged employees is great. But you can’t just tell your staff to smile or do this or that. Rather, developing a team of truly happy team members comes from teaching them more about your business and helping them grow the skills they need to succeed—both in life and in their own careers. The result? They’ll smile on their own. 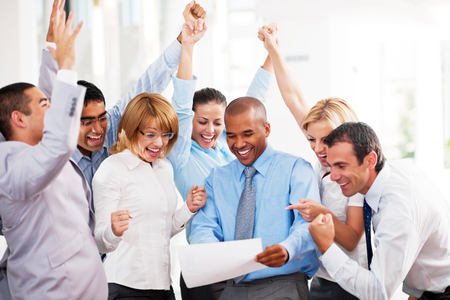 Here are some methods for enriching the lives of your team members. Change your language. The very use of the word employee implies a top-down, “I’m better or more powerful than you” mentality, which has a ripple effect on the culture of the organization right from the start. Instead, using the term “team member,” I have found, creates an equal, but orderly atmosphere. Sure, they know Nick is the business owner and ultimate boss, but using more inclusive language creates a collegial environment, where peers and partners share, trust and value each other. Most importantly, using this language in work and life shows the way you feel inside matches the way you feel about others with whom you work. Focus on autonomy for learning—and fun. Great “employee engagement” results from a positive, fun-filled and educational culture. This doesn’t mean we goof around or have no order. But our team members have an enormous amount of freedom compared to other businesses. Through our peer-to-peer training and coaching programs, they have the autonomy and freedom to give each other feedback in a comfortable, open environment. We stay away from micro-managing; managers won’t stand over someone at the grill, for instance. But at the same time, if our team members have a problem or need help or direction, our managers are always available to them. Encourage self-driven decision-making. This goes back to our non-micro-managing approach. We teach our team members to manage themselves and their peers in a coaching and mature situation. Our thorough orientation and ongoing training programs teach our team members about every aspect of our company, including our core values, which we encourage them to use to solve problems in order to reach the best solution. It’s about trust—not babysitting—to develop a team of leaders instead of wallflowers. This helps them become leaders in their own lives. Create “safe” communication spaces. All organizations can fall prey to gossiping and drama in the workplace. To mitigate this, we encourage our team members to follow a more effective communication model called “safe space©,” developed by Rudy Miick. Instead of avoiding conflict or disagreements, we use this eight-step talking tool to work through a shared solution. Creating a “safe space©” means focusing on using “I” statements and sharing your own feeling and experiences for an even exchange of thoughts and ideas. Instead of making assumptions, “safe space©” involves tracking others’ behavior and non-verbal messages for clues into their true feelings and intentions. We also hold regular, manager-free meetings to allow our team members to talk about shared challenges and concerns we call “the moose in the room,” and then come up with a shared solution and plan of action. Our younger team members tell us they don’t learn these communication skills in school. Practice “safe space©” in your company, and your team will be grateful for the life lesson. Teach others to make money, not just yourself. Teaching team members about financial planning and reporting is not only good for your business, but also for their personal finance goals. While everyone in business has making money on the brain, that doesn’t mean we have to be selfish. By opening up our books and training fiscal literacy, we work together as a team in what I call a “fiscal huddle” to understand our profit goals and our losses on a daily, weekly, monthly and year-by-year basis. By teaching our team how to report, deliver, and forecast line item numbers that are critical to the life of our business, we’ve found they can better understand and manage their own budgets. Enrich the lives of your team members in these ways and you’ll find real engagement—both on and off paper.